We did some initial testing’s and everything worked without any problems. With ~10 Key Users we “simulated” a training to check how many users we get on one machine and if we have any problems. Luckily a small NVIDIA vGPU profile (M60-0B – yes B) was fast enough. So we can handle up to 64 users with the two Workstations – more than enough for our trainings. The system was ordered three times (for redundancy). At this point it was not clear how many users we can get on one Server – we planned to use these systems to do more tests and find the best NVIDIA vGPU Profile which fulfills the user requirements. Fri Dec 02 2016 10:43:16 CPU 2 machine check error detected. Fri Dec 02 2016 10:43:10 An OEM diagnostic event occurred. Fri Dec 02 2016 10:43:10 A fatal error was detected on a component at bus 0 device 2 function 0. Fri Dec 02 2016 10:43:10 A bus fatal error was detected on a component at slot 6. 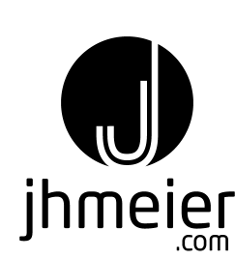 Fri Dec 02 2016 10:45:24 CPU 1 machine check error detected. Fri Dec 02 2016 10:45:24 Multi-bit memory errors detected on a memory device at location(s) DIMM_A3. Fri Dec 02 2016 10:45:24 Multi-bit memory errors detected on a memory device at location(s) DIMM_B1. Fri Dec 02 2016 10:45:24 A problem was detected related to the previous server boot. The side with one plug is connected to the M60. 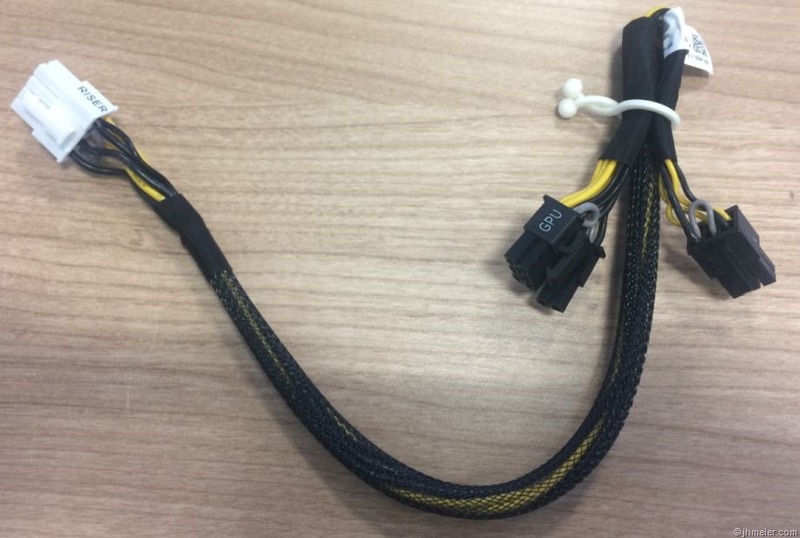 As you can see this has also two plugs on one side – connect these two plugs with the two from the correct cable and the white with the rise card. Another thing you need to make sure is that the power cable is not in the Airflow of the M60 cooling. It looks like it often happens that the cable is not under the M60 (like shown in the picture) and instead behind it. The rest of the cable fits next to the card. 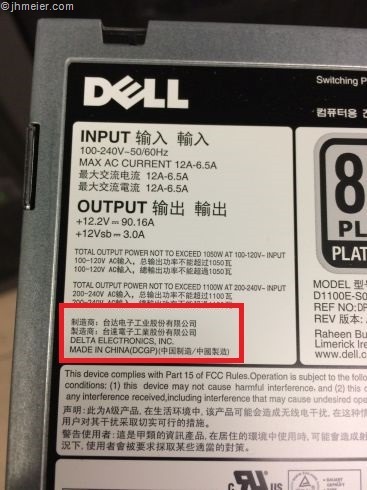 Furthermore Dell advised us to change the Power Supply Options. You can find them on the iDRAC: Overview => Hardware => Power Supplies. 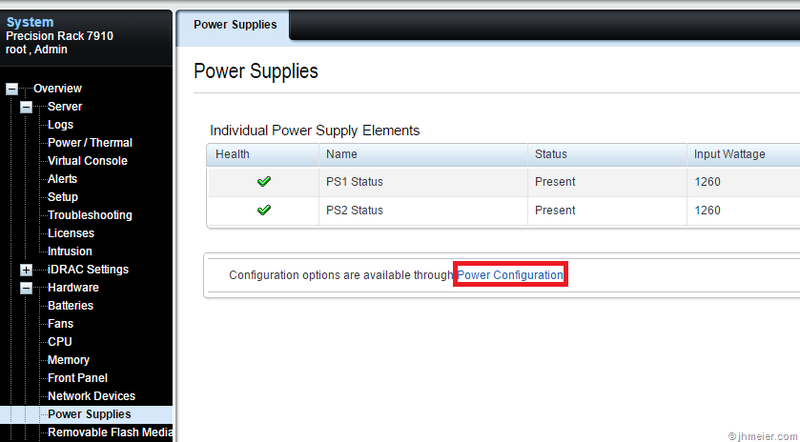 On the right side there is now an Option Power Configuration. They suggested changing the Redundancy Policy to Not Redundant and Hot Spare to Disable. You can find a detailed description of the settings in the iDRAC User Guide on page 161. We had one from Lite-On Technology. In addition the other had one from Delta Electronics INC. Furthermore their motherboard had a different revision number. It was changed to one with the same revision. (sorry didn’t make a picture of both). To make sure even one M60 was replaced. In the meantime the case was escalated. Dell did many Hardware replacements (really uncomplicated) but nothing changed. Interestingly even now it didn’t look like Dell Engineering was involved. We created a case at NVIDA and contacted System Engineers from NVIDA and Citrix. In parallel I created a post on the NVIDIA Grid Forums – especially BJones gave some helpfull feedback. There had been more tests – but to be honest I don’t remember every detail. One of the things we also changed was to add the iommu=dom0-passthrough parameter to the xen boot-line. Although we didn’t have the problem that the driver inside the VM did not start – the behavior changed a little bit. It first looked like the problem was fixed – but at the end only more reboots had been necessary to crash the system. After that a crash dump appeared on the XenServer. This had never happened before. Unfortunately the crash dump didn’t contain any useful information. At the moment we are working with Citrix Engineering and Nvidia (although it’s mainly focused on Citrix because we don’t see the Nvidia driver included in the problem). One of the other thoughts was that a Microcode Patch from Intel could help to solve the problem. This patch is not included in the current Dell Bios. The current version is 0X1F – currently the Dell Bios has the 0X1E integrated. Fujitsu has updated his Bios at the end of December with 0X1F. We installed the update manually – but it didn’t change anything. (If I have some time later I will publish a separate blog post how to do that…). Our current workaround is to use v3 CPUs. The performance is lower – but it was the option where we didn’t have to change anything in our environment (no reinstallation or reconfiguration) except the CPU. Since yesterday we are running another test with v4 CPUs. We disabled a new feature from the CPU that was adopted in Xen 4.6 (=> XenServer 7). Until now we have no crashes *fingers crossed*. User tests will follow tomorrow. I really appreciate it that Dell did many Hardware-Replacements really fast and uncomplicated. 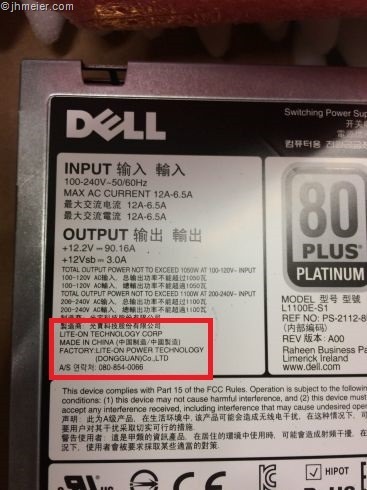 Nevertheless it never felt like the Dell engineering was involved in the problem solution. 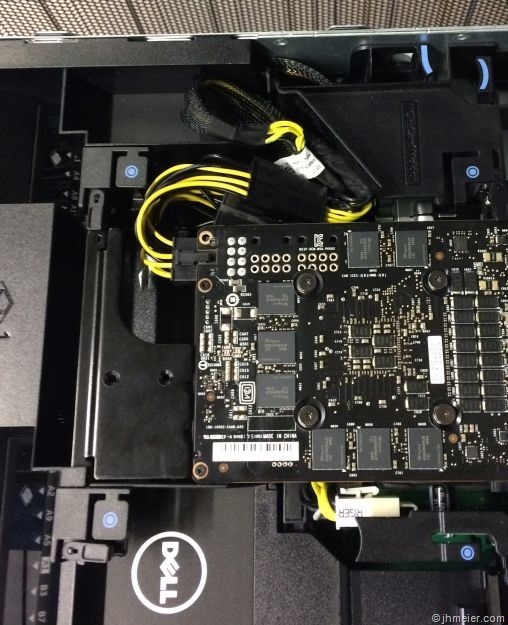 Citrix and Nvidia Engineers asked us a lot of questions – but we didn’t receive any from Dell engineering. The point I am more worried about is how Dell “continues” to support an environment with XenServer. During the discussions we often got the information like “We don’t support that because it’s not on the Citrix HCL” – interestingly on the XenServer HCL you can find the Dell R720 (a quite old system) in conjunction with the Nvidia M60. On the other hand the R730 is listed with the M10. 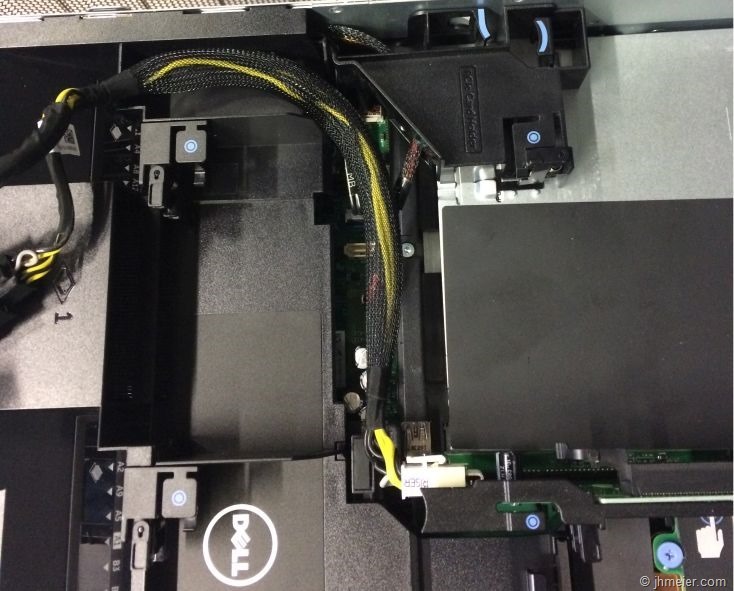 Furthermore Dell send a R730 to Citrix for testing it and adding it to the HCL. The “normal” way I know is that the Hardware-Vendor does all the tests for the HCL and just sends Citrix the results. We have asked our Dell representatives for an official statement – hopefully we will receive that soon and it’s positive about XenServer Support from Dell (and they don’t try to replace XenServer with VMWare…). Why you think this support “problem” is happening? Dell bought VMWare…. Did you find a final solution except to add v3 CPUs?